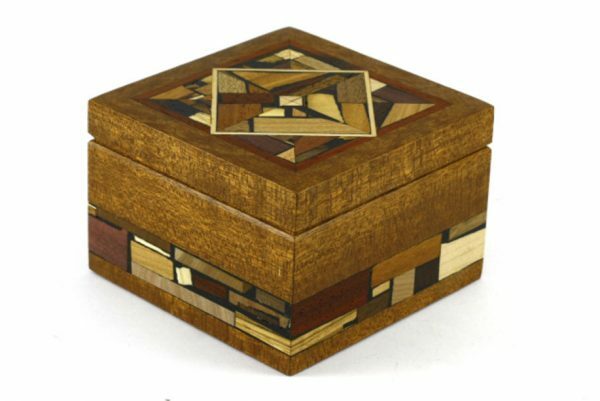 This compound angled Jewelry Box has enough room for plenty of stash! 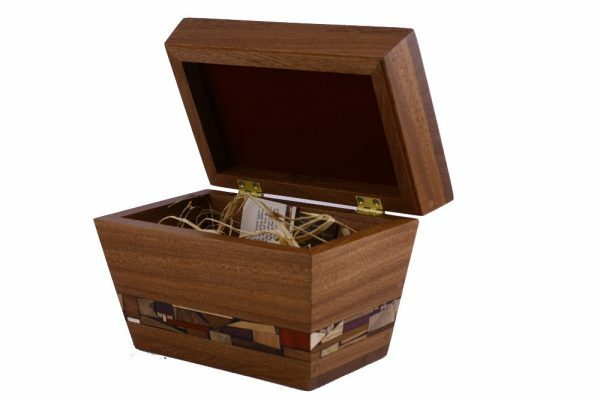 Great as a keepsake box. 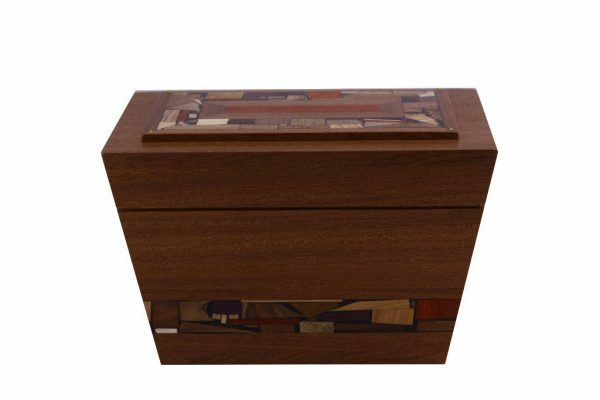 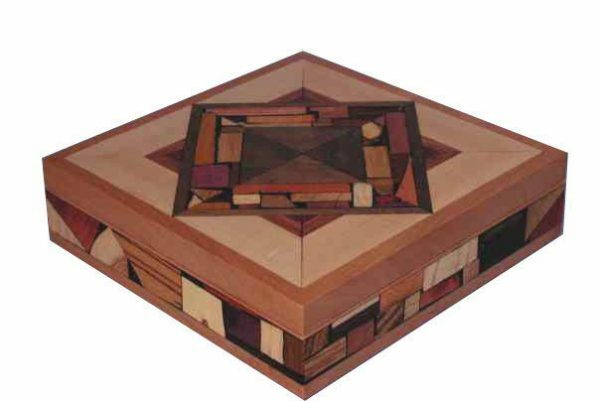 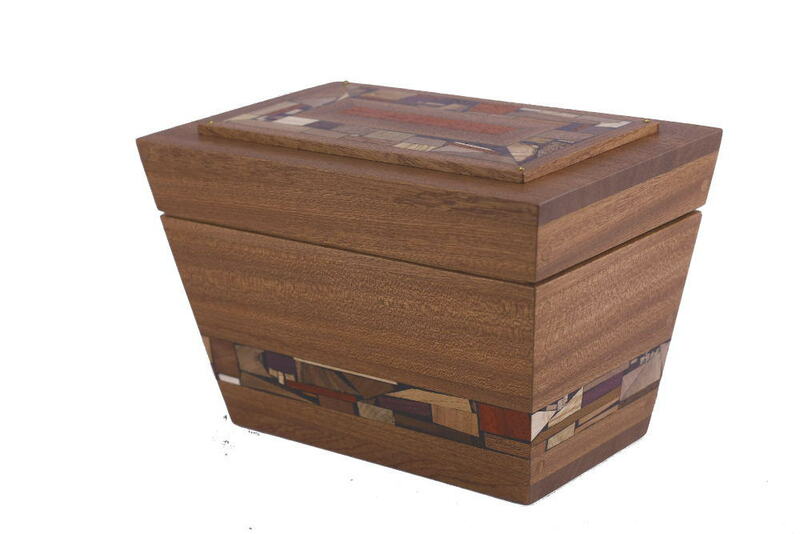 It has Etz-Ron’s signature wood mosaics around the bottom and applied on the top.